Due to the fact that we all now have centrally heated homes, these once seasonal pests are now an all-year-round problem. Carpet Moths can cause small bald patches on edges and corners of your carpets and if these are noticed action should be taken immediately as an infestation can quickly get out of control. A combination of routine sprays, powders and fumigation treatments need to take place to ensure complete eradication. 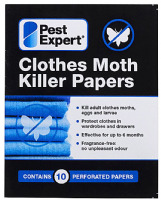 Carpet Moth Killer Sprays are very effective at killing off these destructive little invaders. Unlike other treatments, the sprays are applied directly to textiles such as furniture, and carpeting. The fabric should not be saturated, as only a light spray is required. Regular cleaning will gradually remove the treatment, so it will have to be reapplied from time to time. Carpet Moths can cause small bald patches on edges and corners of your carpets and if these are noticed action should be taken immediately as an infestation can quickly get out of control. To help you choose the right products we have created Carpet Moth Killer Kits, containing all the necessary products to control carpet moth infestations. Carpet Moths are more likely to harbour in darker, unused areas of the carpet, e.g. underneath furniture and along skirting boards. Carpet Moth Powders are perfect for sprinkling underneath furniture as it can be left down indefinitely, or it can be applied directly to cracks and crevices where eggs could be hiding. Some powders are free from insecticides, making them ideal for use in chemical sensitive areas, such as kitchens. Carpet Moths can hide in the most hard to reach areas of your home making them difficult to spot. The use of Carpet Moth Foggers & Fumers is an ideal method for eliminating carpet moths in such areas. Simply set off in an enclosed room and the fumer smoke bomb or fogger will kill most of the carpet moths in the room. 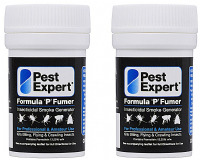 Pest Expert Formula 'P' Fumers are carpet moth smoke bombs for fumigating carpet moth infestations. They release a smoke which can penetrate into cracks and crevices to kill carpet moths harbouring there. 1-2 bombs are required to treat a standard room. Professional Use Only. 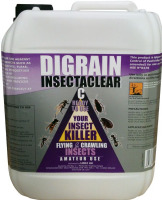 Dual action Moth & insect killer combines instant knock down, with long lasting protection. Rentokil Insectrol Moth Killer Spray can be used as a direct knockdown spray against moths and other flying or crawling insects. When applied directly onto insects the potent active within the Insectrol Spray achieves rapid knockdown whilst also leaving a protective barrier which helps maintain long lasting moth control. Perfect for targeting hard-to-reach cracks and crevices where moths may be harbouring. The strongest amateur approved Carpet Moth killer spray on the market. Lasts for up to 12 weeks after being applied. 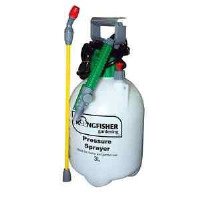 The strongest amateur approved carpet moth killer on the market. Lasts for up to 12 weeks after being applied. Protector C is an insecticidal surface and space spray, which kills moths & other flying and crawling insects.